Off the heels of the positive reception to the announcement of Final Fantasy VII‘s HD remake, the eighth and ninth games might have seemed like obvious choices. However, the gap between the fifth and sixth games, and the graphical capabilities of today is quite large, compared Final Fantasy VIII and Final Fantasy IX. It would be no easy task to re-imagine those sprite-based games to a visual level on par with Final Fantasy VII‘s remake, but there’s also a significant amount of untapped potential, to say nothing of the new ideas Square Enix may introduce to these remakes. Visually, the mobile ports for V and VI have been received with mixed reception at best. Who knows — perhaps an entirely unexpected art direction could be pursued! 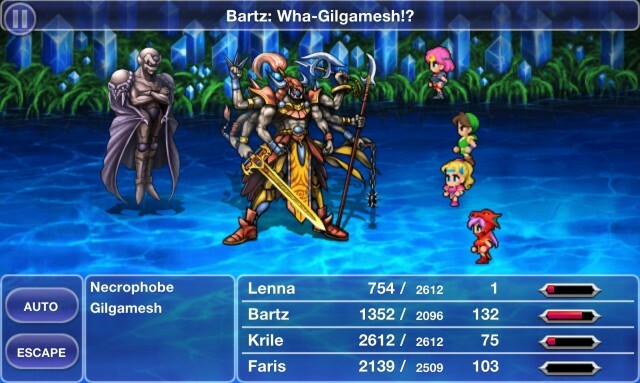 What do you think of the idea of remakes for Final Fantasy V and Final Fantasy VI?